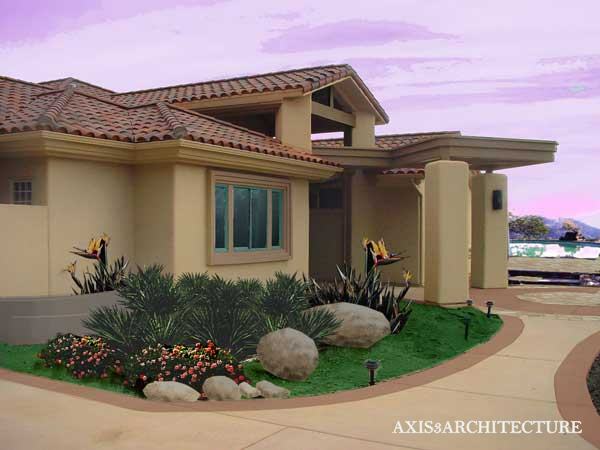 We are a general contractor specializing in home renovations and custom home builds throughout the Inland Empire. We excel in customer service and workmanship and guarantee your project will be completed to your satisfaction. We will keep in constant communication with you throughout the process, ensuring all of your questions and concerns are answered. With our network of skilled architects, interior designers, engineers, and trades contractors, your project will be completed seamlessly and efficiently. We offer fair, competitive pricing, and although we may not be the lowest bid you’ll receive, we make sure you get the most value out of your budget. RBC Construction has served the custom home building and home remodeling needs of Rialto and San Bernardino County for three generations, so you know you can rely on us for your next home improvement project. Home to 100,000 inhabitants, Rialto, also known as “The Bridge City,” is a city in San Bernardino County. While it is unknown how the city got its name, one theory is that it was named for Rialto Bridge, a landmark in Venice, Italy. In any case, the bridge has been retained as a community symbol known as the “Bridge of Progress.” Rialto has a Continental Mediterranean climate, meaning wet, cool to chilly winters and hot, dry summers. During the fall months, the Santa Ana winds are felt particularly strongly as warm, dry air is channeled through the Cajon Pass. Although Rialto was incorporated as a city in 1911, archaeologists believe the first Native American settlements took place in the year 1500. Not until the late 1800s was the area settled by families pursuing agriculture and ranching. Rialto has seen huge growth, particularly between 1950-1980 when the population increased by more than ten-fold. This Inland Empire city is rich with history and unknowns about its origin, even to this day. For a truly enjoyable renovation process, consider collaborating with the professionals at RBC Construction for your upcoming kitchen or bathroom upgrade. You’ll never be in the dark about your renovation progress – we provide frequent updates and answer all of your questions along the way, guiding you seamlessly through the design-build process. Our kitchen specialties include custom cabinetry, stone countertops, islands, backsplashes, flooring, fixtures, appliances, and more. Whatever your goals for your new kitchen entail, we will exceed your expectations and provide you a space you will adore. When you’re ready to move on to your bathroom renovation, let RBC Construction and our network of specialists will transform your space. Home Additions: If your home is becoming cramped, consider adding a master suite, game room, or outdoor living space to achieve more living space. Whole Home Renovations: In some cases, an overhaul of the entire home is the best bet for homeowners. This option can take advantage of the available square footage while making more of it usable. Historic Home Renovations: Repairs and remodels to a historic home can be complicated. We have the experience and expertise to retain your home’s historical significance while creating a comfortable living space for your family. If you are in the beginning stages of building your custom home and have not chosen an architectural firm, consider experiencing our integrated design-build service, offering you a single source solution for building your home. Our project management team will streamline the process for you, minimizing the back and forth that typically goes on between architect, builder, and homeowner. If you have already chosen an architect and have a set of plans, we will collaborate with your chosen firm in creating your dream home. If you are an architect or home designer seeking a builder to partner with, we are always looking to expand our network and would love to discuss your upcoming project. RBC Construction offers two main styles of cabinetry to our customers for your convenience. We only install and create cabinets using the highest quality plywood, ensuring your investment will last for years. Manufactured Cabinets: We purchase our manufactured cabinets from Solid Cabinetry, and they are available in several different types, depending on your budget and style needs. Custom Cabinets: Our custom cabinets are made to order and come in all styles. If you are looking for a unique touch or have a room with odd dimensions that requires specialized cabinets to fit the space, this is the way to go. Whether you are just beginning the new home building process or you already have a set of home plans from a reputable Rialto, CA area architect, we invite you to contact us so we can set up an initial meeting and get to know more about you and your project. We also would like for you to get to know us a little so we can mutually determine if we are a good fit for your next custom home building or renovation project in San Bernardino County CA.